Whether you are refinancing your Arizona Mortgage, primarily to lower your interest rate in order to hopefully be able to reduce your monthly payments, or if you are maybe looking for a home loan for the first time, you have come to the right place. There are numerous mortgage assistance state and federal programs available for distressed homeowners needing help. If you are one of those people having trouble paying for your mortgage, there is help in the form of programs that may help you, despite being turned down in the past. Click here if you need AZ mortgage help. In addition to programs designed to help homeowners, Arizona has created a flexible mortgage loan program. Arizona's Attorney General has set aside $20 million from the National Mortgage Settlement Funds to help distressed homeowners. It is our hope that you find what you are looking for and be in a much better situation with the information that you will discover here. It can be confusing when looking for a loan. I know, I too, have certainly been confused with all of the terminology and loan programs that are out there. Let's try to break the Arizona mortgage terms down into simple AZ mortgage terms. Arizona Mortgage ARM Loan or a Fixed Rate Loan? An ARM is basically a mortgage in which the interest rate will periodically change. A Fixed Mortgage Loan is the most common type of mortgage program that home owners use where their monthly payments, which includes the interest and principal, never change. Any Arizona Mortgage that is considered an ARM will fluctuate according to the corresponding index, which every ARM Arizona Mortgage has. ARM loans generally start out with an interest rate that is approximately two to three percent below a comparable fixed rate mortgage. Having an ARM loan will likely allow you to buy a more expensive home. These loans can be good and bad, in my opinion. Yes, they initially, might be a great rate. 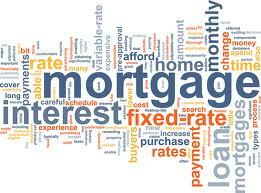 However, the interest rate on these mortgage loans can also increase, with a market that is ever changing. On the flip side of things, these ARM Mortgages can also drop your payment, just the same as they can be increased. There are also Arizona Mortgage programs out there where the loan combines both of these types of loans. It's like having an ARM and a Fixed Mortgage, all in one. How they work is quite simple; they start out at a low Fixed Rate Mortgage for, example, seven to ten years. After that set time frame, the rate will then adjusting to market conditions. I am not a real estate professional, so I advise you to seek a real estate professional, like I did. Professionals will help guide you through the process as well as give you good advice on selecting which mortgage is best for your financial situation. There are different kinds of Arizona Mortgage ARM Loans. This is a 30-year Arizona Mortgage loan is considered risky to some as your monthly payment changes every 12 months on the anniversary of your loan and can be significantly increased with each and every year. A Three-Year Adjustable Rate is a 30-year loan in which the rate changes every three years. This Adjustable Rate Mortgage loan is a bit safer than the One-Year Adjustable Rate Mortgage because it does not fluctuate every year. This type fluctuates every three years. This is a 30-year Adjustable Rate loan in which the rate along with the payment, changes every five years. This 30-year loan means that you will have a fixed interest rate for the first three years of the loan. This type of Mortgage is then transferred into a One-Year Adjustable Rate Mortgage for the remaining 27 years. This is a 30-year loan where you would have a fixed interest rate for the first five years. After the first five years, the loan is transferred into a One-Year Adjustable Rate Mortgage for the remaining 25 years. This 30-year loan means that you would have a fixed interest rate for the first seven years and then you would have a One-Year Adjustable Rate Mortgage for the remaining 23 years of the loan. This ARM is a 30-year loan with a fixed interest rate for the first ten years. Beginning in the eleventh year, the mortgage loan turns into a One-Year Adjustable Rate Mortgage for the remainder of the loan, which is 20 years. Fixed Rate mortgage Loans are available as a 10, 15, 20, and a 30 year loan. Fixed Rate Fully Amortizing Loans involve two elements. First, the interest rate on a Fixed Rate remains fixed for the life of the loan. The second element of Fixed Rate Fully Amortizing Loans mean that the payments will remain the same during the course of the loan and are scheduled to be paid at the end of the loan term. You will find that the most common Fixed Rate loans are 15 and 30 year mortgages. These loans are set up so that a large portion of the monthly payment is used for paying the interest. Any typical Fixed Rate Mortgage Loan can can take a good 22 years to pay just half of the original mortgage loan amount. Here are some questions you may wish to ask yourself before contacting a real estate professional. What is your credit score? Having good credit will certainly help you get a better rate, which in turn, means a lower monthly payment! What are you hoping to accomplish by refinancing? Are you looking for a better rate, to lower your payment, pay off some high percentage credit cards, or looking to get some cash out of the equity in your home? How long do you plan on staying in your home? This will help the real estate professional understand your needs better and suggest a loan that is suitable to you, personally. If you have less then what is considered good credit, be rest assured that there are many lenders that will still say YES to your Arizona Mortgage loan, regardless of maybe a few bad credit remarks on your credit history report.